- Little ones can show off their favorite pair of play shoes by displaying them on the high heel shoe stand or have her dolls check out their style in the mirror. 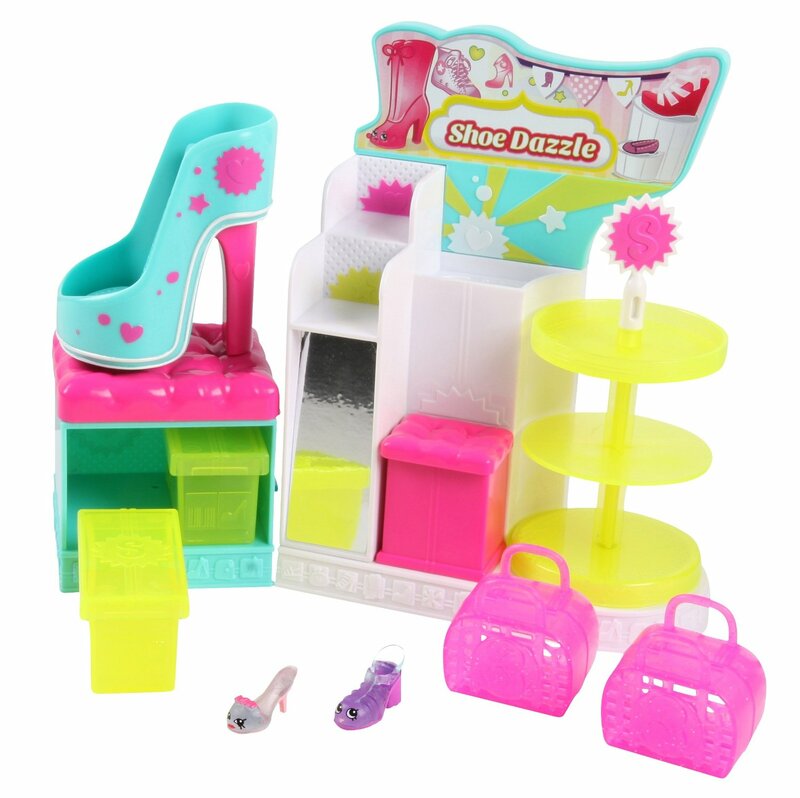 MAKES A GREAT GIFT - This Shopkins Fashion Spree Shoe Dazzle will make a thoughtful gift for your little one. Save on time, money, and headache while doubling the fun for your fabulous girl. 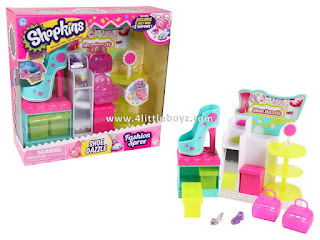 - This Shopkins toy can help encourage children to use their imagination by engaging in pretend play. They can set up their own store or act as if it is their own fancy closet. - Now you can have even more fun with the new Shopkins app. 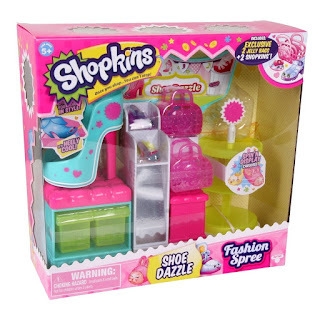 - Shopkins Fashion Spree Shoe Dazzle playset comes with 2 exclusive Shopkins and 2 jelly bags.